When a major accident occurs and severe injuries are sustained, victims may be airlifted to a medical facility for treatment. Typically, the mode of transportation used as an air ambulance is a helicopter. However, there have been major concerns raised over how safe these air ambulances really are, especially in light of the number of crashes that occur every year. According to the National Transportation Safety Board (NTSB), there have been 185 medical helicopter crashes since 1998—the latest occurring just this past October in Wichita Falls, Texas. Three people were killed in a crash, bringing the total number of victims killed in medical helicopter crashes to 174. This total includes both crew members and patients being transported to medical facilities. One of the reasons cited for this increase in crashes is the incredible growth the air ambulance industry has seen over the past two decades. 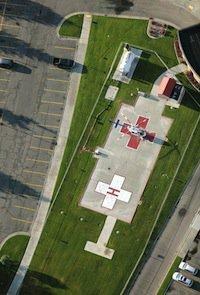 Up until 2002, the only air ambulances in operation were owned solely by hospitals. These ambulances were typically twin-engine aircrafts and the medical staff who flew with patients was comprised of emergency room physicians and critical care nurses. The hospitals usually lost money in these transfers, and, after much lobbying, Medicare agreed in 2002 to reimburse hospitals for the actual costs of these patient transports. However, instead of using the increased funds from Medicare to ensure equipment and staff was of the utmost in safety, companies instead downgraded. They began using single-engine helicopters to transport patients and hired crews with limited experience. The number of air ambulance companies in operation exploded, from 545 medical helicopters flying in 2003 to 1,020 medical helicopters in operation as of 2014. Most air safety analysts agree that it is the for-profit companies who are responsible for the dramatic number of crashes and fatalities. Even though for-profit air ambulance companies only make up 40 percent of the number of businesses in operation, it is their aircrafts that account for 80 percent of helicopter crashes. The NTSB also points out that one popular model of air ambulance—the Bell 206—are well-known for problems which cause the aircraft to spin uncontrollably. This is what happened in the Texas crash. Also contributing to safety issues is the shortage of available pilots. This has caused many companies to lower their flight hour requirements when hiring people to fly air ambulances. Tragically, it appears that the profits companies are making on these medical helicopter transports have taken priority over the safety and welfare of both patients and medical and flight crews. If you have lost a loved one in an aircraft crash, please contact an experienced Westport wrongful death attorney to find out what compensation you may be entitled to for your pain and loss. Imagine being involved in a low-impact car crash and having your air bag, a device designed to protect your safety, explode causing shrapnel to spray throughout your vehicle. This is the type of situation that many drivers have faced over the last several months due to defective air bags manufactured by Japanese automotive supplier Takata. What began as a regional recall, focused specifically in high-humidity states, has now become a nationwide safety concern affecting approximately 7.8 million vehicles from 10 different automakers, according to Consumer Reports. The catastrophic events linked to Takata air bags have included explosive shrapnel as a result of air bags inflating too quickly after collisions such as rear-end car accidents. Over 100 personal injuries and at least five fatalities have been reported thus far, which has prompted the recall expansion. Honda was the first to take its recall nationwide as demanded by the National Highway Traffic Safety Administration, but in recent weeks, Ford, Mazda, Chrysler, and BMW have also followed suit, as reported by The New York Times. Takata’s president has stepped down as the company continues involvement in this worldwide safety issue linked to its air bags installed in vehicles from 2002 through 2008. There are still lingering questions about the cause of more recent air bag injuries and which cars specifically are at inherent risk. Car manufacturers are responsible in alerting consumers of any defectiveness regarding their products in a timely manner. If they are negligent in doing so, injuries can occur for which they hold accountability. 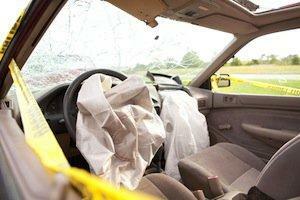 Takata air bags have been directly linked to tragic events putting millions of people in danger. A woman in South Carolina has been the most recent victim reporting chest injuries sustained as a result of excessive force of the Takata air bag installed in her 2001 Honda. If you or someone you know have been seriously injured as a result of a defective car part in Connecticut, contact a qualified Westport personal injury today. You may be eligible for compensation, which could help pay for any medical expenses acquired as a result of your injuries. Call our office for a free case evaluation.